This exhibition’s purpose is to restore a sense of political freedom in private psychological practises on personal failure. The artists put themselves in vulnerable positions, embracing failure and exploring how to present depression and other emotions through art. 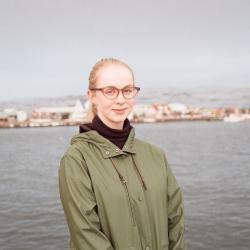 The nine artists involved have travelled with the exhibit for half a year through five cities, ending their tour in Reykjavík. There is a special opening party today at 15:00, where artist Styrmir Örn Guðmundsson will perform his work “Butterfly Blues”, a nomadic concert performance. The exhibit is in The Living Art Museum (Nýló), Völvufell 13-21, and is open Tuesday to Friday 12:00-17:00, Saturday to Sunday 13:00-17:00. Admission: Free! See the full listing here.